I know we just got back from ProCigar last week, but I'm off again on cigar adventure number two for 2012. Next week I am heading down to Nicaragua with my good friends Pete Johnson (owner of the Tatuaje brand of cigars), Dan Welsh (owner of New Havana Cigars) and KC Johnson (Pete's brother who I hung out with a lot last year at the IPCPR tradeshow.) I'm not sure what to expect on this trip because it's my first trip to the country that is not a formal "blogger" tour. I do know that when I asked Pete last week at ProCigar what we would be smoking, he had the best answer. He told me, "When we get up, you tell me what we're smoking that day." I'm sure he saw the big sh*t eating grin appear on my face. So, like the trip last week, the best way to get updates from me on my trip and to find out what we end up smoking, is via my twitter (reeve11). Also, you should follow Dan Welsh (NHCDAN) and Pete (tatuajecigars) if you don't already. 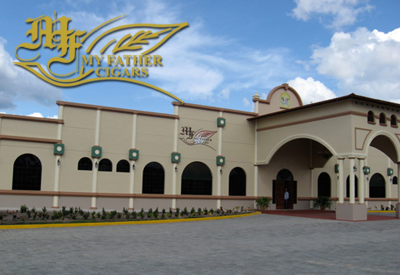 While I am gone Mario will continue with the updates from last weeks ProCigar festival. We've got a ton of footage so check back often. I'm very excited for this trip and haven't stopped thinking about it since Pete asked me if I wanted to go. Wish me luck and see you in a week.